This post is part of an Absolute Write (AW) project, where certain AW members who signed up for the project are linked together in a chain. Every blogger in the chain takes a cue from the previous participant and writes a new post. Find more on this interesting event here. My predecessor, Forbidden Snowflake, mentioned a fascination for horror films. Since the subject has come up, I thought I should introduce you to a terrific horror magazine that’s receving rave reviews from critics and readers alike. It’s Surreal I am talking about. This quarterly magazine is engrossing mind candy for those interested in dark tales. It features top notch fiction, incisive non-fiction, and is even publishing a serialised story in comic format for the past two issues now. Despite being new, Surreal has set high standards for itself and its peers when it comes to content. 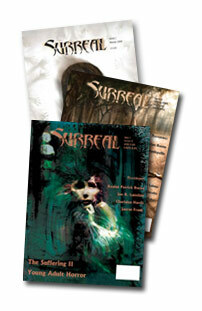 Surreal isn’t limited to being just a print magazine, though. It has two websites, one that gives you information about the magazine, authors guidelines, and advertising information; and another one called Surreal Interactive that gives you a peek into future issues, what with flash-powered trailers and minisites. Surreal has grown a dedicated community for itself, too, as can be inferred from the vibrant discussions on its forums, which even give you the chance to interact with the magazine’s editors directly. I find that rather cool. 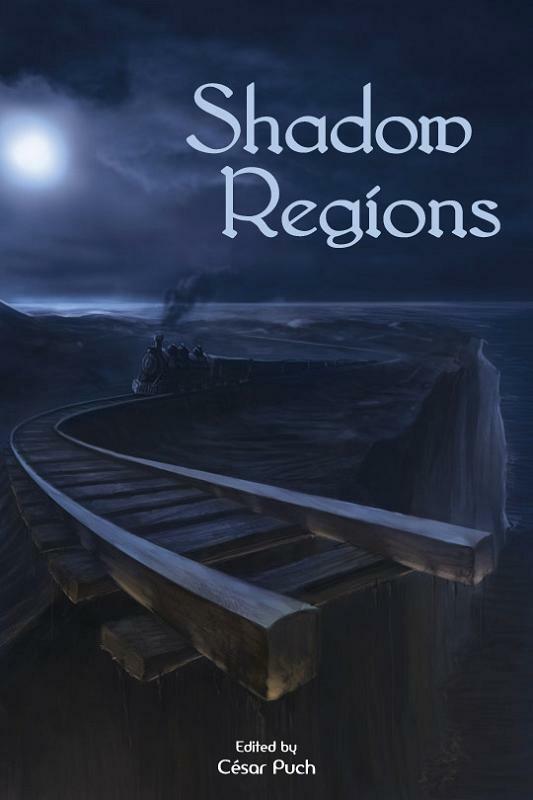 This year, Surreal goes a step further with the launch of Shadow Regions, an anthology of stories that reflect the supernatural. These 20 stories promise to be rivetting reads, as they throw a perfectly normal scheme of things out of order with the invasion of something weirdly extraordinary. The anthology even features a story by the horror maestro, Gary A. Braunbeck. Find more on this potentially gripping anthology here. Beware, it’s due out very soon. So what’s stopping you from getting Surreal? I haven’t actually had the chance to read Surreal yet, but I’m definitely going to give it a go now. Have you ever been to the forums on shocklines.com? Loads of popular horror authors hang out there. I used to post there a lot, but I haven’t in a while. Sounds like an interesting magazine! Made me think immediately of Jason and his “Cottage” story.I admire good horror, but I can’t do it. Hi again Bhas, just a short detour to say that I’ve had a look at your publisher’s website, Cavern Press and that’s a truly surreal (no pun intended) feeling. I felt a mounting excitement for you on seeing the book jacket and reading the description. Once again, so happy for your success. Thanks for featuring this magazine. My curiousity is piqued! Jason, do take a look at it when you can. You might also consider submitting to them. Hi, Bhaswati!I think I know just the person who might be interested in “Surreal”. She used to be the moderator for an online group that enjoyed chatting about the paranormal and other such exciting things! 🙂 If I remember correctly, she also wrote a couple of really short horror stories.Thanks so much for pointing me to the magazine -I’ll go take a longer look now.I am also going to follow Susan’s lead and visit your publisher’s website – I’d love to read about your book there. Great, Susan. Do let your friend know about Surreal. And thanks for following Susan’s lead to my publisher’s website (*blush*). It looks like an interesting magazine. 🙂 Will it give me nightmares? Hey, Laurie, thanks for dropping by! Surreal is known for its nightmarish and creepy reputation. Now, don’t take that literally. LOLYes, do take a look at it if you can. Some good horror writing there. Thanks for dropping by, Kappa. I am adding you to my blog links. And good luck with the submission to Surreal!